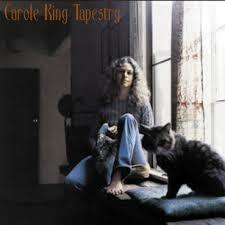 Carol King was one of the most prolific song writers no one ever heard of before the release of her breakout album “Tapestry” released 45 years ago (1971). Her vast songbook, including those co-written with Gerry Goffin, are among some of the most widely recorded songs of the last 60 years. She was the fifth winner of the Gershwin Prize for American Song, where she is in the company of other esteemed artists such as Paul Simon, Stevie Wonder, Paul McCartney and Willie Nelson. She was honored this week with a PBS special, part of the American Masters Series.